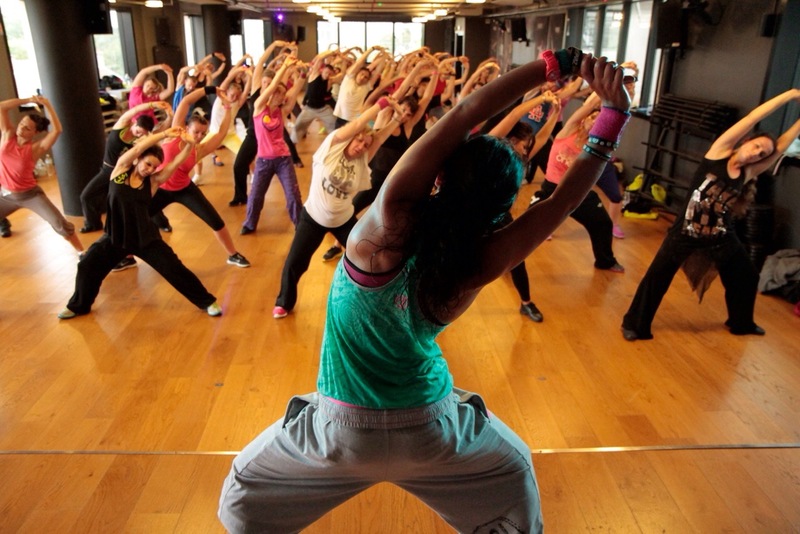 With its catchphrase being “Ditch the workout, join the party,” Zumba class is clearly not an ordinary type of workout. Over the past few years, it has been increasing in popularity due to its unique approach to fitness. Whether you are in great shape, religiously go to the gym or you are trying to find the perfect class to segue yourself back into a healthy lifestyle, Zumba is the perfect class to add to your routine. Versatile and just plain fun, there are so many reasons to join the Zumba party. Tonight after a long day at work I decided to try a Zumba class at lifetime fitness. I started off extremely uncoordinated, out of sync, bumping into my neighbor at every move and feeling like a dork…. 55 minutes in I was still the exact same BUT I was having a blast! Shaking my hips, throwing out some salsa moves and working up a sweat! I’m excited about my next class…!! !